THAILANDE - Surat Thani - Park rangers in Surat Thani are securing a recently discovered site of prehistoric paintings on a cliff in Phanom district, estimated to be thousands of years old. Deer-like animals and an unknown image were portrayed in the paintings. The site is 200 meters up a cliff after a 2 kilometers walk from Ban Song Phi Nong in Mu 5, Khlong Sok sub-district, Phanom district. Bandit Bunsuk, head of Khlong Phanom National Park, said park rangers are now guarding the site to prevent any damage from local honey gatherers who have been active around the site. He revealed he has received reports of other paintings on another cliff in the park, and the finding of sea shells. However, these sites cannot yet be explored because of the treacherous terrain. 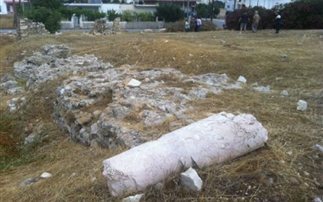 GRECE – Ierapetra - A significant monument of historical and archaeological heritage, an ancient theater, has come to light at the excavations in Ierapetra. Today the works focused on clearing the site and excavations are expected to start. As part of the excavation of the ancient theater, the first meeting in the venue was held on June 14 under the authority of the excavation, and municipal counselor, Manos Markopoulos, the mayor Sifis Anastasakis, as well as archaeologists and elected members of the municipality, and 45 volunteers who have already expressed their interest. AMERIQUE CENTRALE – Mayas - Animal species prevalent during the ancient Mayan culture have survived prolonged droughts, hurricanes and other adverse effects of climate change, experts claim. Expert Alejandro Morales of Guatemala's Center for Wildlife Rescue explained how animal species have managed to survive despite climate change, thanks to the natural process of survival. Morales based his hypothesis on multiple archaeological studies made in areas where the Mayans lived, as well as on scientific and paleontological evidence from fauna remains found in their ancient cities, 'Latin American Herald Tribune' reported. The Mayan civilisation, with its approximately 3,000-year history, inhabited an extended territory in Central America that is today divided into Guatemala, Belize, Honduras, El Salvador and southern Mexico. According to the Morales, the worst threat to felines, reptiles and other species that inhabit the jungles where the Mayan cities stood, is the presence of man, who hunts, traffics and ultimately destroys the fauna. The findings were presented at the 4th World Convention on Mayan Archaeology, in Guatemala City. ROYAUME UNI – Aston Clinton - Historical treasures discovered during archaeological work at the Arla Foods dairy site will be on display at a public open evening later this month. 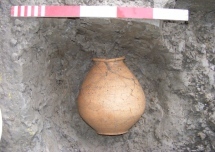 People are invited to view Iron Age and Roman artefacts uncovered during the archaeological study of the site which will include pottery, metalwork, coins and jewellery as well as images of skeletons found in burial sites. 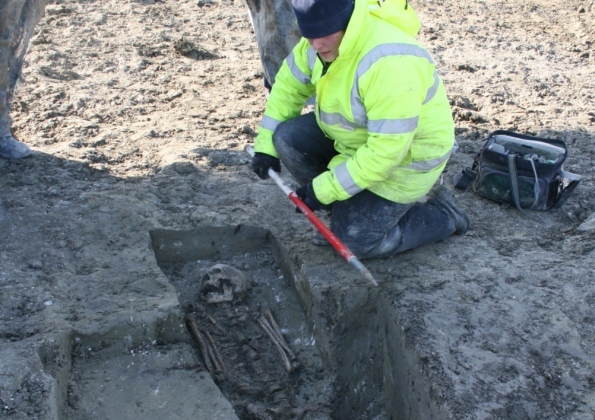 The 12-week study by Prospect Archaeology was completed in February 2012 and revealed late Iron Age, early Roman and later Roman enclosures, as well as 10 inhumation burials and five cremation burials. Although the settlement was low status, large quantities of pottery, a ‘dolphin’ brooch and a bronze cosmetic implement were all recovered. 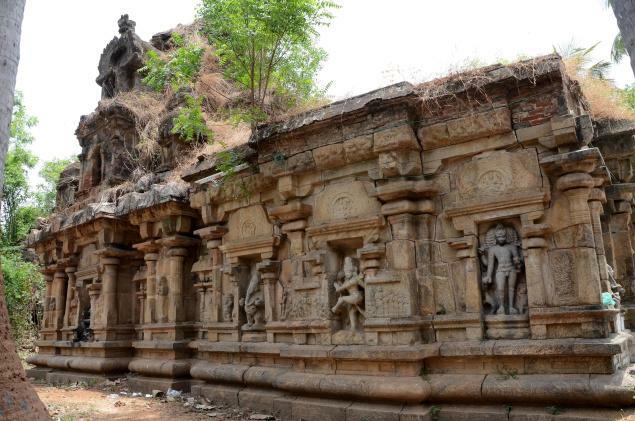 INDE – Manampadi - The National Highways Authority of India (NHAI) has decided to spare the 1000-year-old Siva temple at Manampadi village near Kumbakonam while taking up road expansion under the Thanjavur-Vikkiravandi four-lane project. Kudavayil Balasubramanian, epigraphist and archaeologist, who also sent a letter to the Chief Minister to take steps to spare the temple, welcomed the NHAI’s decision. “This will be a fitting tribute to Rajendra Chola,” he said. The 1,000 anniversary of the great Chola king’s coronation would be celebrated in 2014, Mr. Balasubramanian noted. The temple built by King Rajendra (1012 to 1044 AD) has an entrance without a gopuram. The prahara has beautiful flower plants. It is a functioning temple, with villagers visiting it regularly, offering worship and organising festivals. The vimana on the main temple with the sanctum sanctorum is in dilapidated condition and enveloped by creepers. The compound wall is also damaged. ROYAUME UNI – Rochdale - Balderstone Hall in Rochdale has been carefully unearthed by professional and novice archaeologists who have discovered some exciting ‘finds’ and items from bygone years including plenty of ceramics, coins and tools. 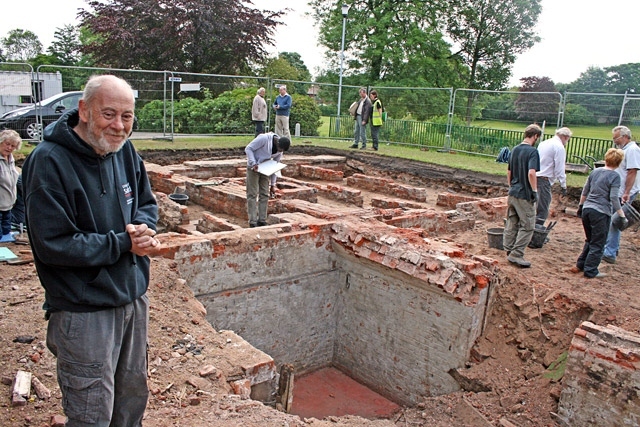 The University of Salford’s archaeology department and enthusiastic volunteers have spent two weeks excavating a historic hall buried beneath Balderstone Park that has origins stretching back to 1414. The earliest reference to the Hall can be found in the 15th Century when James Holt married the daughter and heiress of Henry de Balderston and the couple are said to have had ‘a house of some pretensions’ in Balderstone. The Hall was first officially recorded in the early 17th Century, still in the hands of the Holt family. Subsequently however, it changed ownership and was modified several times before being acquired by local mill owner Joshua Radcliffe in1851, who rebuilt it a year later. The Hall built in 1852 by Radcliffe was a substantial residence with 15 rooms, a billiard room, cellars, stables and a saddleroom, together with a coachman’s cottage, greenhouse, fernery and peach house. FRANCE – Saint Georges de Didonne - De récentes fouilles sur le site d’un futur lotissement ont fait avancer les connaissances sur les méconnus seigneurs médiévaux de Didonne et leur château disparu. Parmi les objets mis au jour, "honnêtement, nous n’avions rien trouvé d’exceptionnel en soi", confesse Catherine Vacher, qui recense divers menus objets, "deux monnaies, l’une datée de 1247, une autre du XVIe siècle, beaucoup de céramique, d’ossements animaux, de coquillages, aussi, des éléments qu’on peut s’attendre à trouver à cet endroit, puisque les habitations du village de Didonne devaient se trouver autour de l’enceinte du château à proprement parler". Ces éléments sont légion, notamment, dans les douves du château, qui tenaient lieu de dépotoir. Les douves, une découverte autrement plus intéressante pour Catherine Vacher, car elles permettent de dessiner l’emprise de l’enceinte du château, d’autant que le lieu de la mise au jour de ces douves se situe exactement à l’endroit où elles débouchaient sur le marais de Chenaumoine, qui s’étendait à l’époque entre le château et l’estuaire. "Par les différences de nature des sédiments, nous avons pu mettre au jour l’emplacement d’un système de double douve, l’une d’une largeur de 17 m, la seconde large de 20 m. On en ignore encore la profondeur exacte mais nous avons déjà pu déterminer qu’elles descendaient à plus de 2,80 m. Ces douves témoignent en tout cas qu’on avait affaire à un grand et gros château." Du château lui-même, "on sait par les premières recherches documentaires qu’il ne subsistait déjà aucune trace au XVIIIe siècle" et qu’il a probablement été détruit à la fin du XVe siècle. Son emprise est couverte aujourd’hui de pavillons.